Taranakite was originally described from thin veins cutting volcanic rock on the Sugar Loaf Islets near New Plymouth, in Taranaki. It forms in coastal areas by a chemical reaction between bird droppings and volcanic rock. 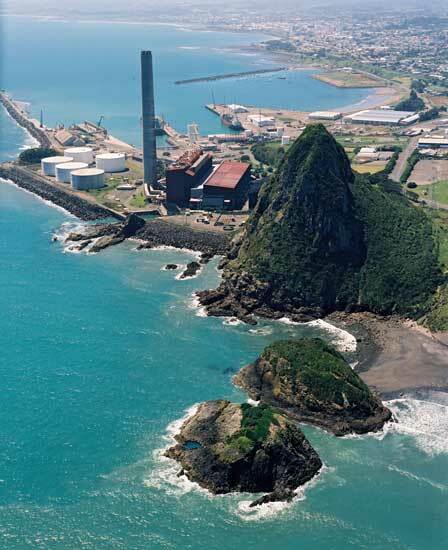 In the background are industrial buildings and New Plymouth Harbour.